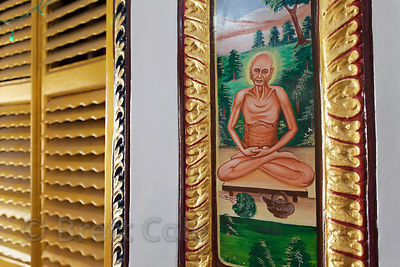 Paintings inside a temple, Sarnath, India. 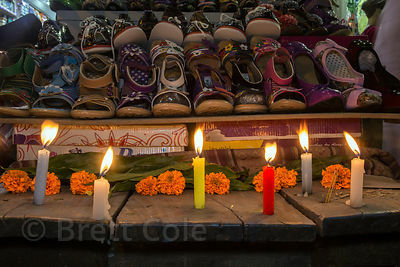 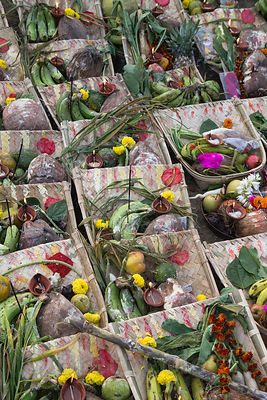 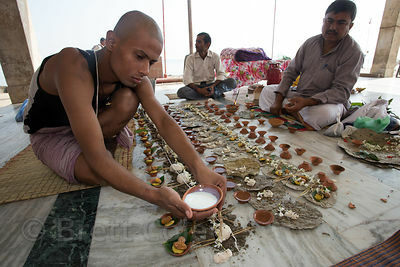 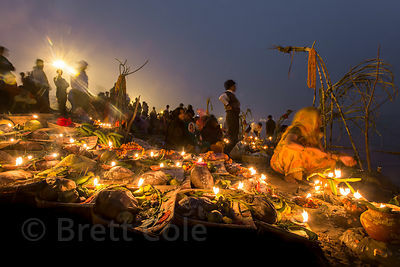 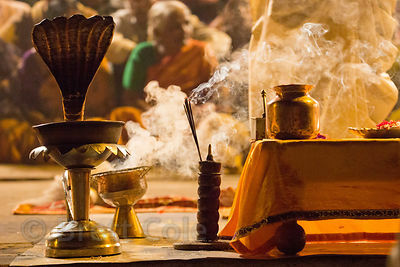 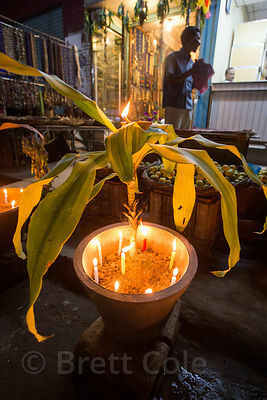 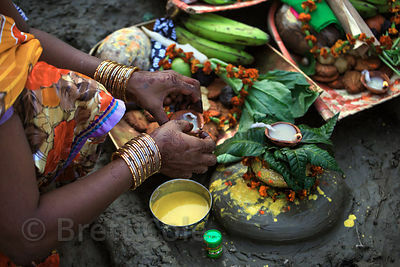 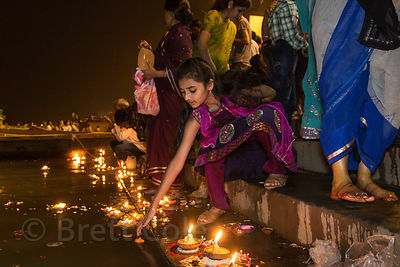 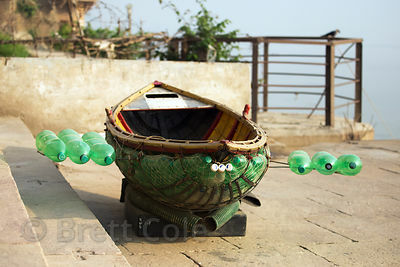 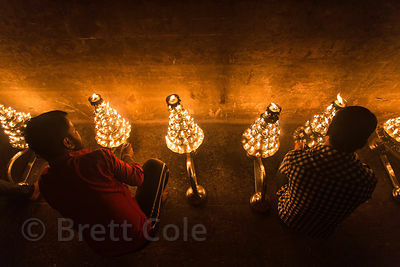 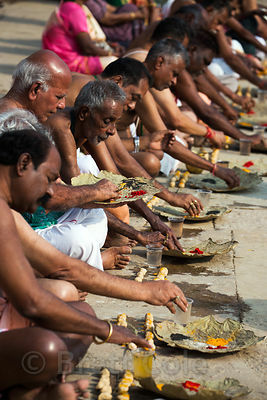 Offerings on the banks of the Ganges River during Chhath Puja, Varanasi, India. 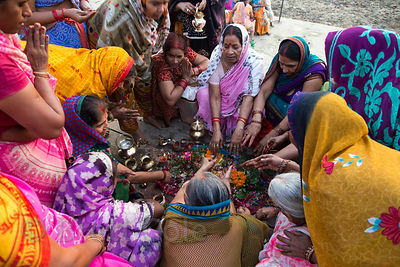 Chhath Puja is a devotion to the Sun God Surya in which people gather at sunset and then on the following sunrise and offer prayers. 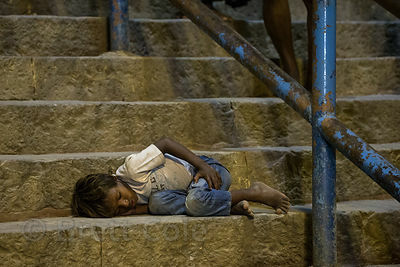 A homeless boy sleeps on a step at night while people walk past him, Dashashwamedh Ghat, Varanasi, India. 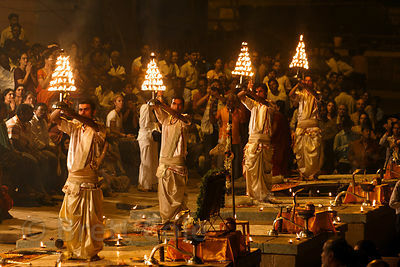 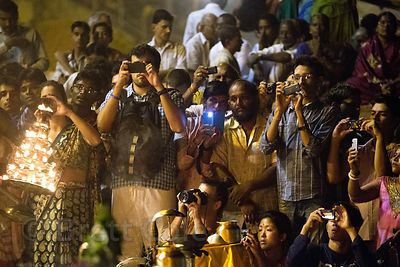 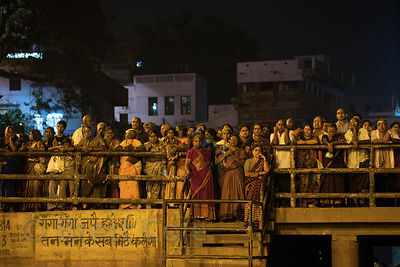 Hindu devotees await sunrise on the Ganges River during Chhath Puja, Varanasi, India. 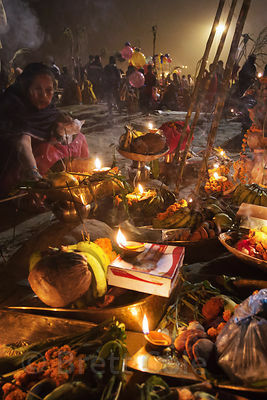 Chhath Puja is a devotion to the Sun God Surya in which people gather at sunset and then on the following sunrise and offer prayers. 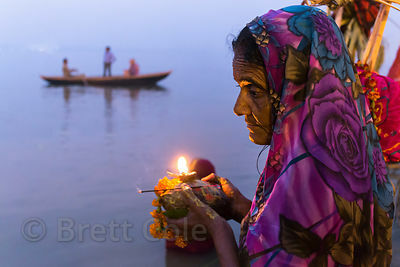 A woman prays at sunset along the Ganges River during Chhath Puja, Varanasi, India. 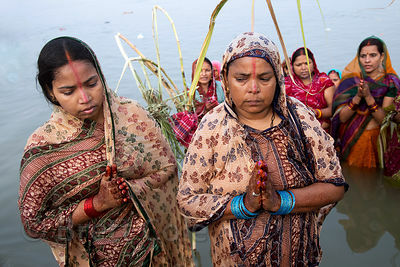 Chhath Puja is a devotion to the Sun God Surya in which people gather at sunset and then on the following sunrise and offer prayers. 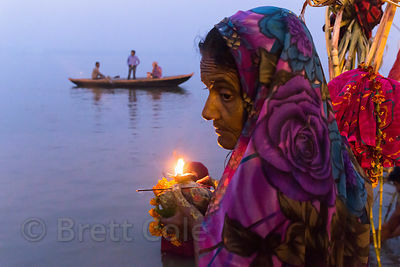 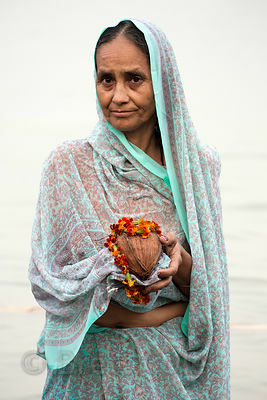 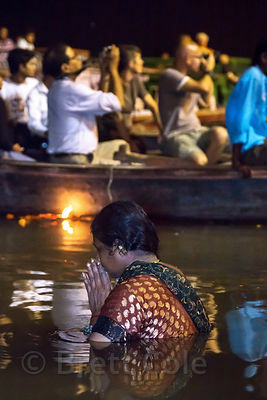 A woman prays on the Ganges River during Chhath Puja, Varanasi, India. 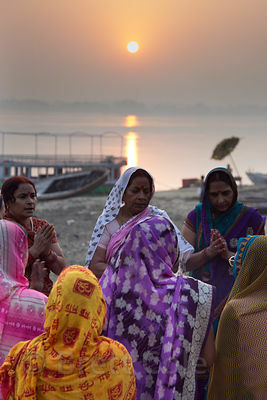 Chhath Puja is a devotion to the Sun God Surya in which people gather at sunset and then on the following sunrise and offer prayers. 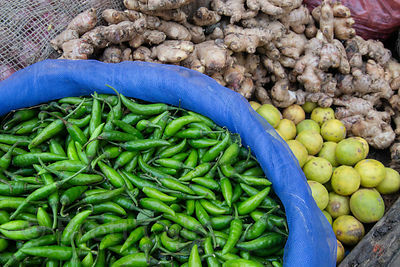 Peppers and lemons for sale at a market. 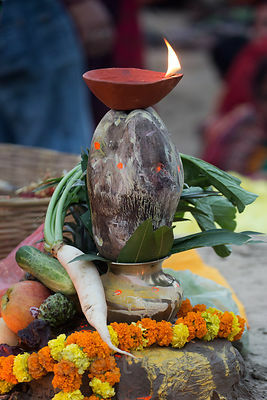 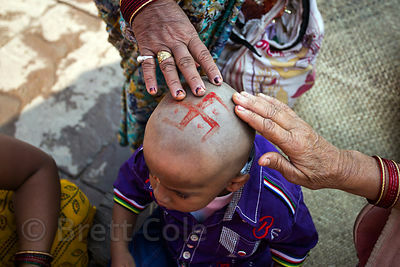 The two are used together as a good luck charm by Hindus. 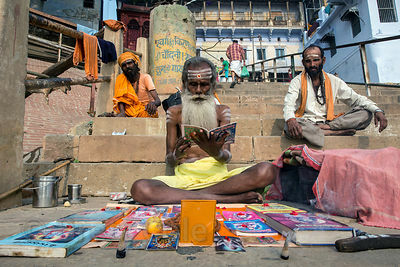 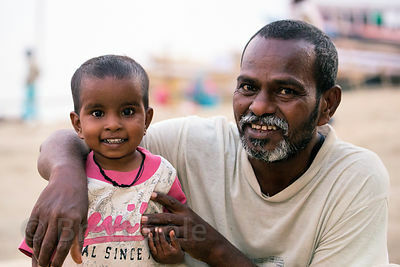 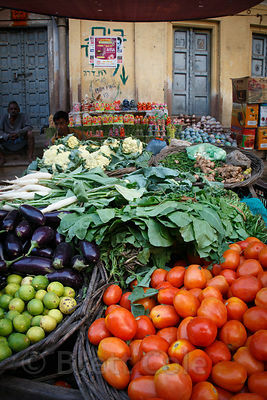 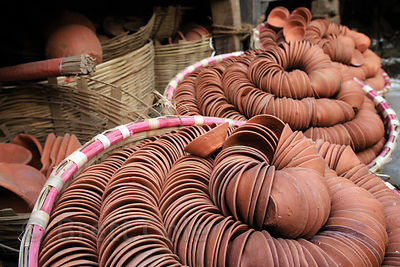 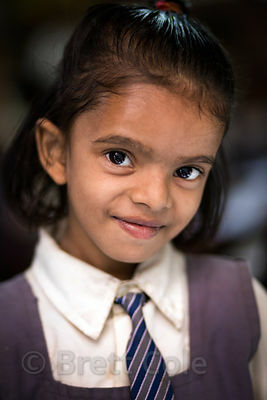 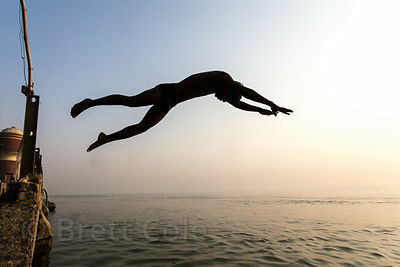 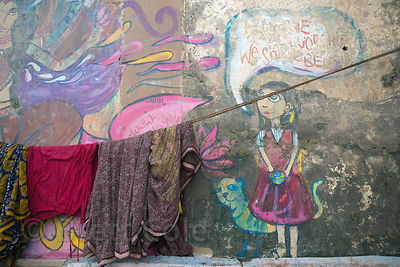 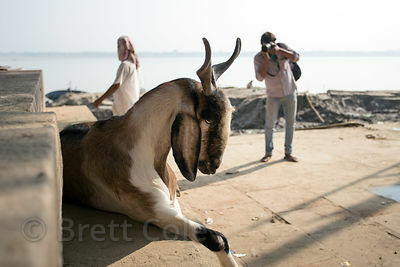 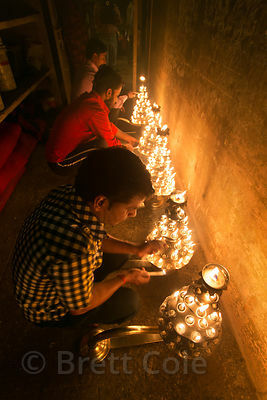 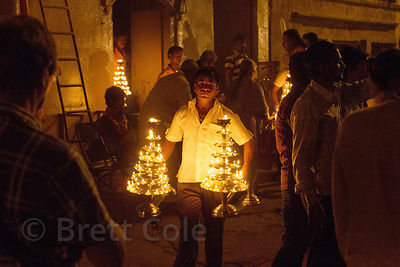 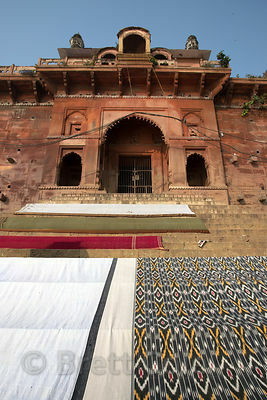 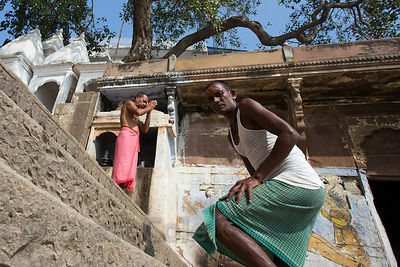 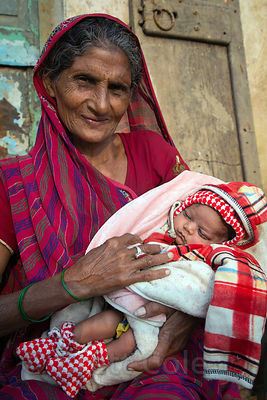 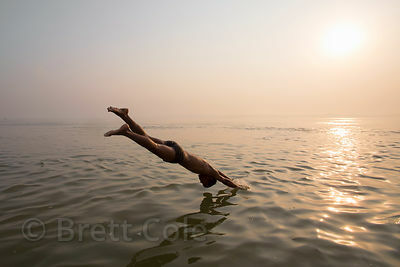 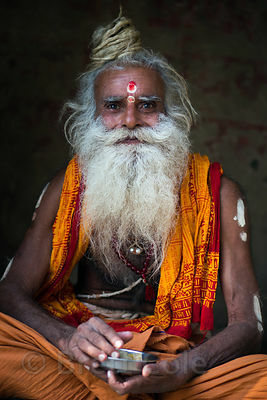 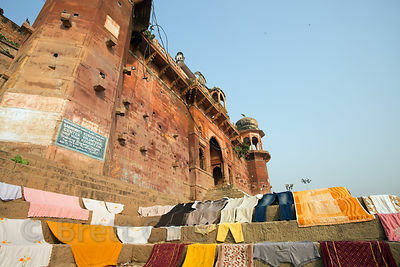 Birdopur, Varanasi, India. 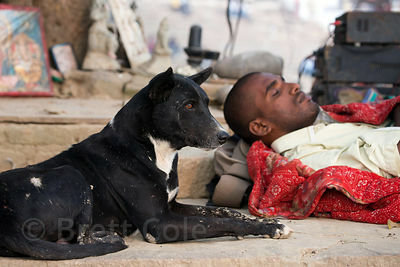 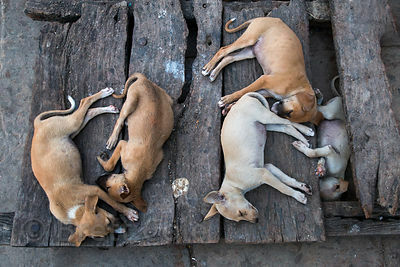 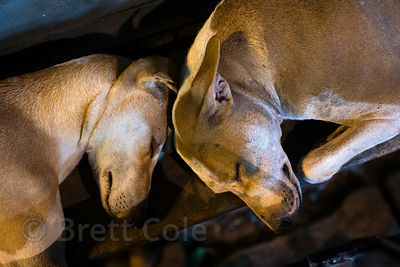 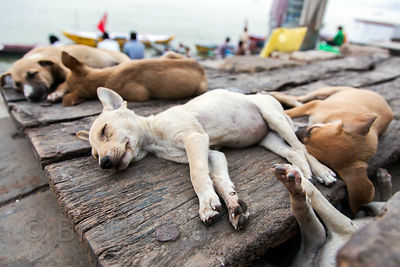 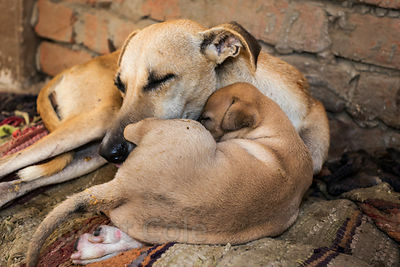 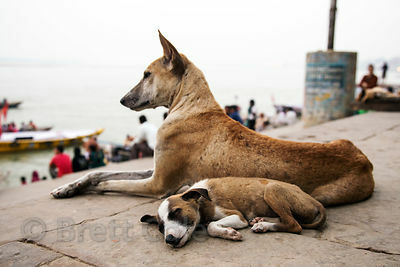 Street dogs on Munshi Ghat, Varanasi, India. 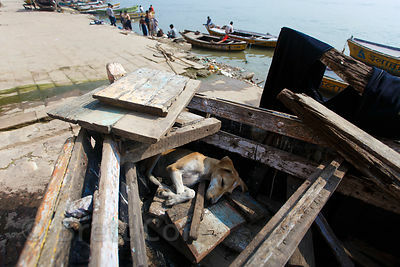 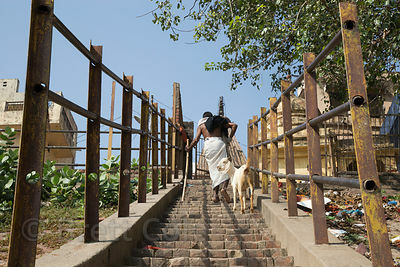 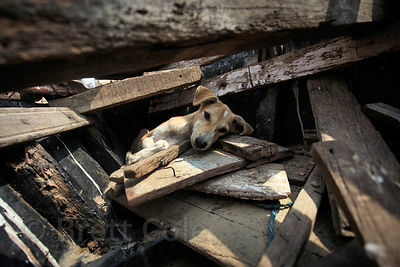 Varanasi has a huge stray dog population. 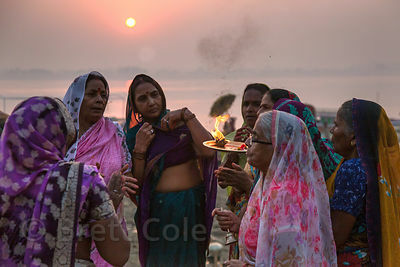 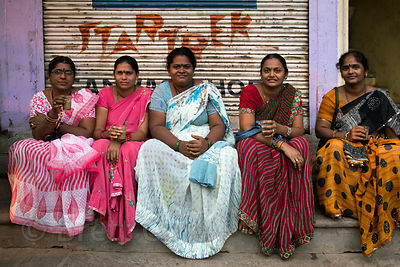 Ladies pray at sunset along the Ganges River during Chhath Puja, Varanasi, India. 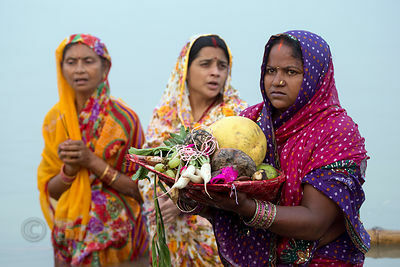 Chhath Puja is a devotion to the Sun God Surya in which people gather at sunset and then on the following sunrise and offer prayers. 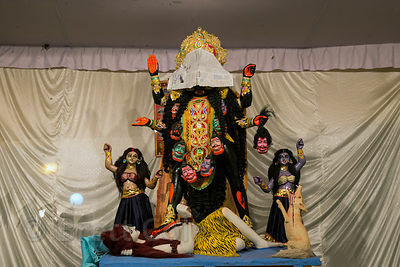 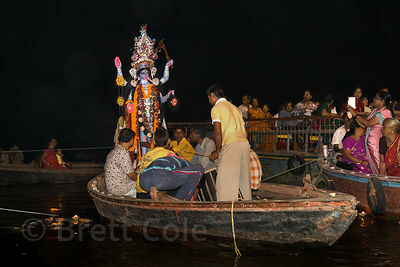 A fascinating image, an idol of Kali is covered at night so she can go to sleep. 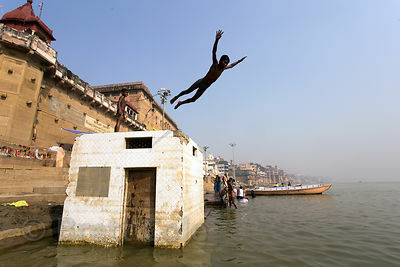 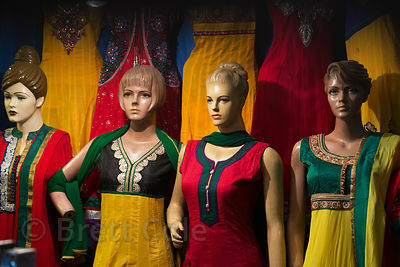 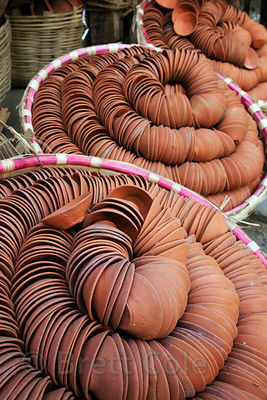 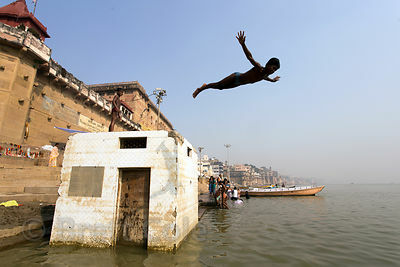 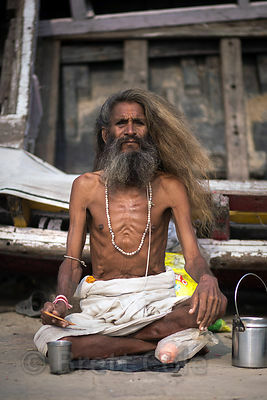 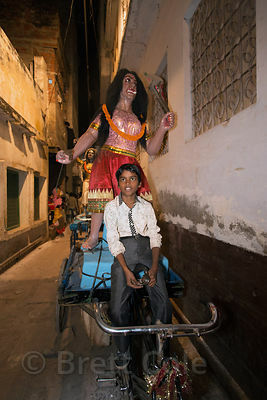 Bangali Tola, Varanasi, India. 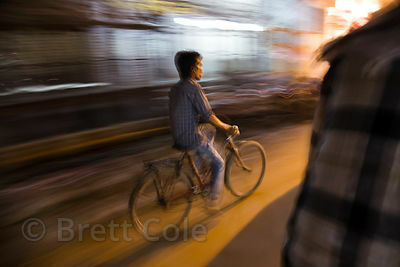 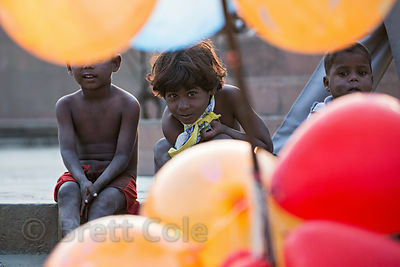 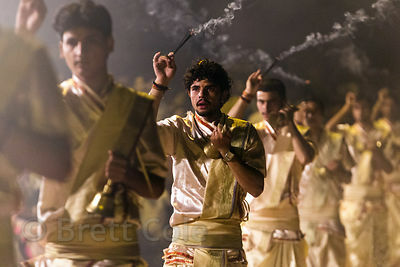 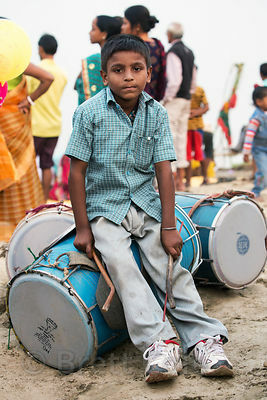 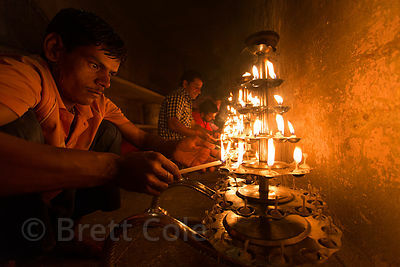 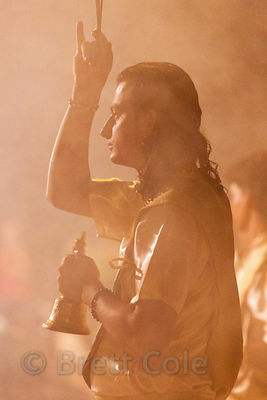 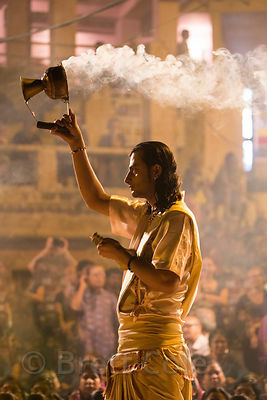 A boy plays drums during Chhath Puja, Varanasi, India. 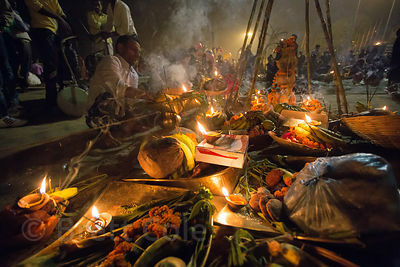 Chhath Puja is a devotion to the Sun God Surya in which people gather at sunset and then on the following sunrise and offer prayers. 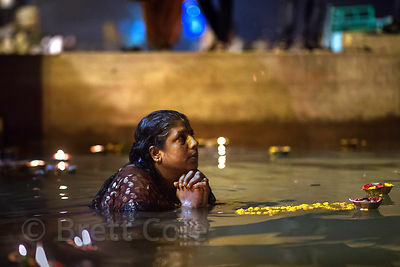 Women bathe in the Ganges River. 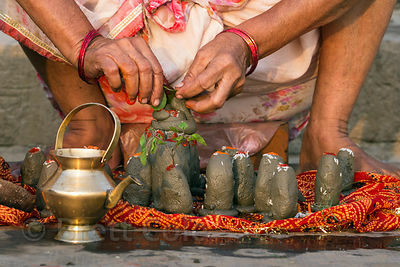 Their feet are yellow because they've been covered in Turmeric to prevent infection from the heavily polluted water in the Ganges, Tulsi Ghat, Varanasi, India. 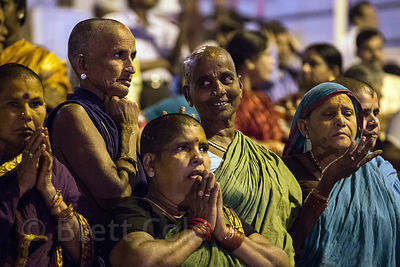 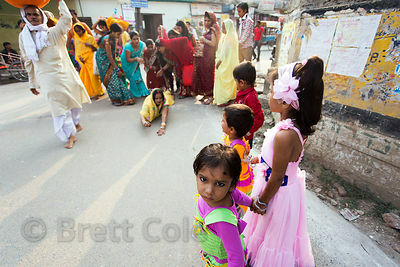 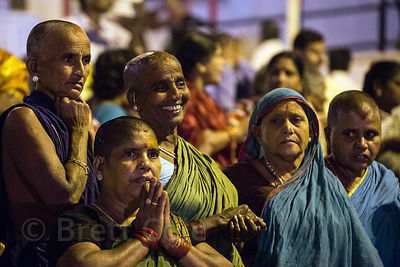 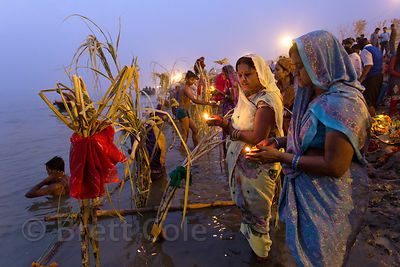 Ladies pray in the Ganges River during Chhath Puja, Varanasi, India. 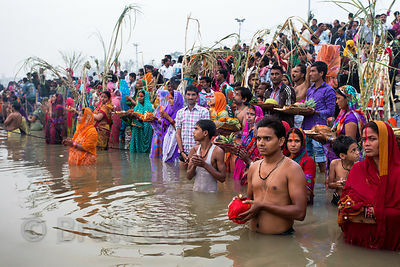 Chhath Puja is a devotion to the Sun God Surya in which people gather at sunset and then on the following sunrise and offer prayers. 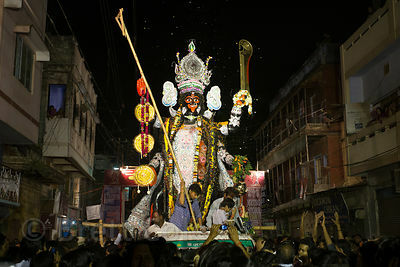 A huge idol of Kali is carried during the Kali Murti festival, Varanasi, India. 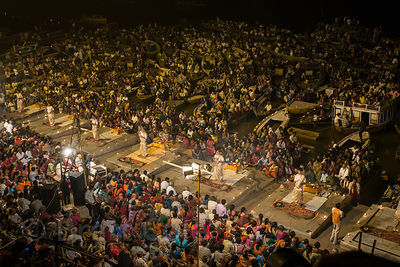 It will be marched into the streets where thousands of people will work themselves into a frenzy with drumming and fireworks. 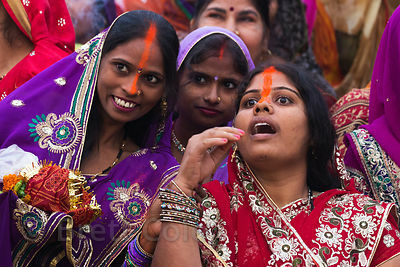 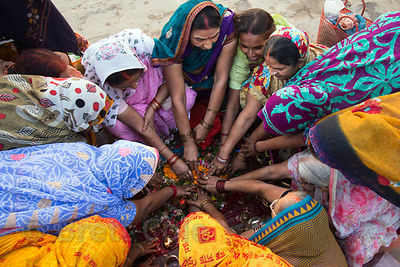 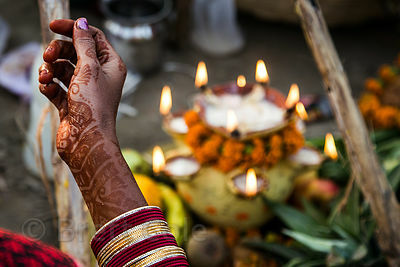 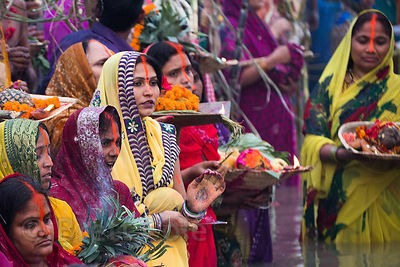 Women make offerings on the Ganges River during Chhath Puja, Varanasi, India. 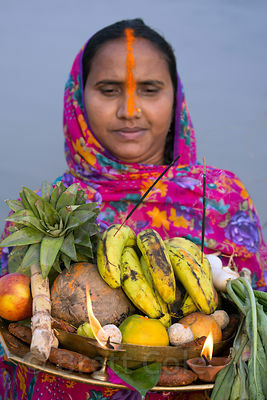 Chhath Puja is a devotion to the Sun God Surya in which people gather at sunset and then on the following sunrise and offer prayers. 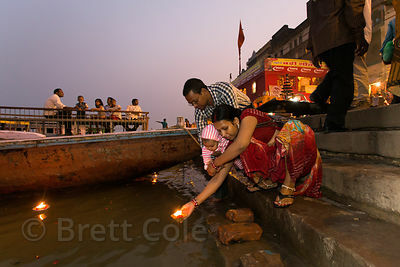 A couple makes offerings on the Ganges River during Chhath Puja, Varanasi, India. 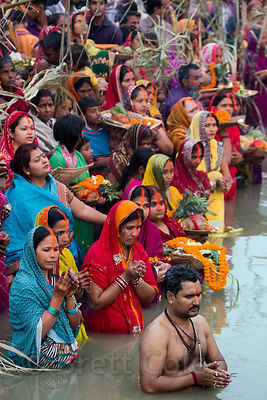 Chhath Puja is a devotion to the Sun God Surya in which people gather at sunset and then on the following sunrise and offer prayers.